Tenzing-Hillary Airport is known as the gateway to Everest and is regarded the world's most risky because of its hard approach and short runway. 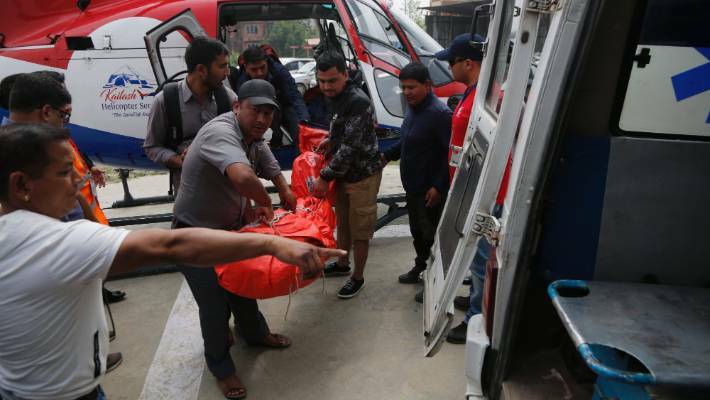 Assistant Sub-Inspector Rudra Bahadur Shrestha, who was injured in the incident and airlifted to Kathmandu, died at Grande Hospital, hospital sources said. The Lukla Airport has a track record for being the World's Most Dangerous Airport with a small runway (527 m) flanked by Mountains and treacherous terrain. It is open only to helicopters and small fixed-wing aircraft.